The Top Product awards honour high-quality dental products and equipment, taking into account clinical studies and empirical research. Several Ivoclar Vivadent products are listed in the 2018 recommendations for buyers. Bluephase Style has won awards in the category “LED Curing Light” several times before. Bluephase Style offers multiple curing mades and is ergonomic and lightweight. The Bluephase II Meter is one of the most accurate on the market in measuring light intensity. 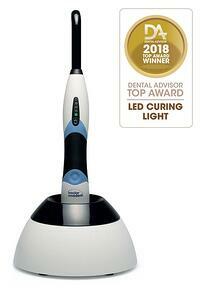 This light has continually won awards from DENTAL ADVISOR due to its simple yet effective operation. "Easy to get in tight spaces." Tetric EvoCeram Bulk Fill has been given the award of “Top Bulk Fill Restorative Composite”. Tetric EvoCeram Bulk Fill has performed well over time in our long-term studies, showing no wear and very minimal discoloration and fracture over time. This bulk fill requires no capping layer and is easy to sculpt. "The esthetics were excellent – retains surface gloss over time." "This is now my `go to´ product for posterior composites." IPS e.max Press continues to impress. An explicit recommendation has been made by the Dental Advisor for IPS e.max Press. In a five-year study, IPS e.max Press has proven to be a durable material with outstanding clinical performance and has impressed users with its superior esthetic properties. 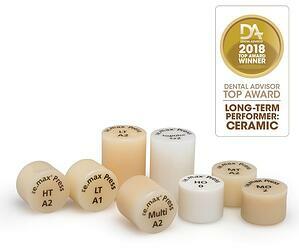 For these reasons, IPS e.max Press has been named as one of the Top Award Winners in the category of Long-Term Performer by the Dental Advisor. Year after year, IPS e.max Press is the chosen material for highly esthetic ceramic restorations. It has proven to be a high-strength, durable material with excellent clinical performance for over seven years. Its performance has exceeded that of traditional PFM restorations as well as many all-ceramic restorations. "Very versatile, highly esthetic material. I use it for most of my anterior and posterior restorations." "IPS e.max Press never fails to disappoint [sic] in achieving the perfect shade match for even the most challenging cases." "A strong yet very esthetic restorations. I`ve never been disappointed." 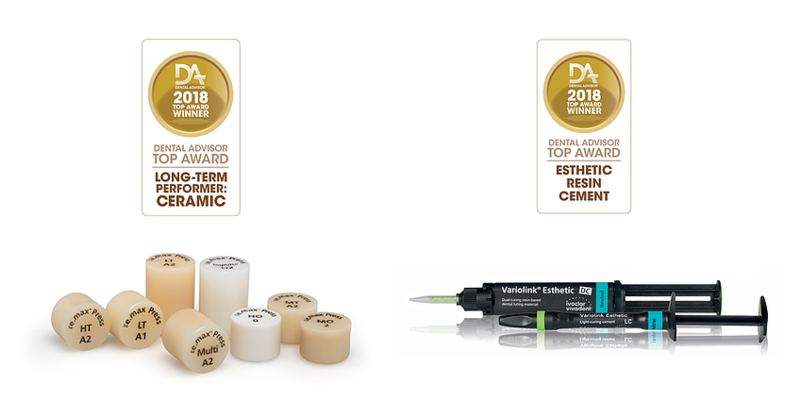 Variolink Esthetic has been named “Top Cement: Esthetic Resin” for the third consecutive year. Available in Light- and Dual-Cure options, Variolink Esthetic offers the clinician everything needed for cementing esthetic cases in one kit. Try in pastes are true to final color and the kit is well organized and easy to use. "I was able to get precise shade matching with Variolink Esthetic." "Shading system is perfect for all different shades."